I love nature and I also love literacy. I’ve combined the two to form The Buckit Book Club! I will post weekly to highlight one of our favorite children’s books that is both educational and entertaining to read, with a focus on the environment, animals and nature in general. Let me help you build your child’s library and take the guesswork out of buying books. This list also serves as a wonderful resource for birthday gift ideas. I am a huge stickler for accuracy in children’s books so I will also point out examples of books that do not share the correct information or that may be misleading. How incorrect information in books gets past editors, I don’t know, but it drives me crazy! We read to our kids every night and not only do I want them to enjoy it, but I don’t want to get bored reading either. My favorite books have great rhythm and rhyme and teach you things without you even knowing it. I will also share my tips and tricks for buying these great books without spending a fortune. The library is always a great option as well, but we like to re-read the books (sometimes 5 times in a night, for weeks on end…) so we prefer to own them. In conjunction with my weekly posts here, I will go live on Facebook and flip through the pages with you so you can get a better idea of what to expect. 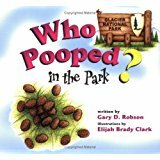 1) Who Pooped in the Park? “Watch where you step! Sometimes the animals that live in Glacier National Park are hard to find–but you can always find their poop! Come along with Michael, Emily, and their family as they learn about the animals in the park from their scats (poop) and tracks (footprints). This delightfully illustrated children’s book follows Michael–who is afraid of bears–and his family as they encounter signs of mountain goats, beavers, elk, deer, rabbits, coyotes, mountain lions, badgers, and more. 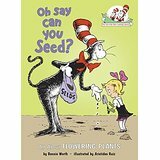 With the able assistance of Thing 1 and Thing 2 — and a fleet of Rube Goldbergian vehicles — the Cat in the Hat examines the various parts of plants, seeds, and flowers; basic photosynthesis and pollination; and seed dispersal. 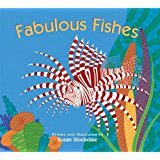 From the spiky lionfish and the brightly colored clownfish to lanternfishes and hatchetfishes that flash lights so they can find each other in the deepest, darkest parts of the ocean, children will be fascinated by the breadth of sea life depicted. An afterword offers fascinating facts and a closer look at each fish. 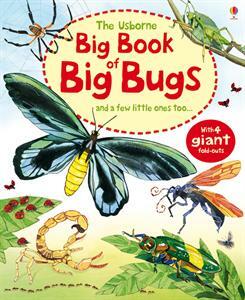 From an amazing stick insect longer than your arm to gigantic spiders as big as a dinner plate, this book’s huge fold-out pages let readers discover how big some of the biggest bugs in the world really are. Nicole Kaye and Jessica Moore can hook you up with this book and many others! A stunning picture book from Eric Carle about Mister Seahorse and other ‘male mothers’, with special acetate pages that hide fish behind rocks and reeds. As he floats through the sea, Mister Seahorse meets a Mr Stickleback, Mr Tilapia, Mr Kurtus and many other fish fathers caring for their eggs and babies in the most surprising ways. Join the lively animals of this book as they race, chase, howl and growl across the clever pages of this board book. Bold illustrations and catchy rhymes make I Howl, I Growl the perfect introduction to the wide range of animals that live in the desert habitat. Find out all you ever wanted to know about insects when the Cat and company get an up-close view of life as a bug. Kids will learn how insects — from the spittlebug to the honeybee to the moth — see, smell, communicate, and pollinate, as well as sometimes pester and amaze and generally make life better for us humans. Catch the bug buzz with the Cat in the Hat and all his friends! Who am I? wonders Shark Baby. When his mermaid’s purse egg case is torn loose in a storm, he finds himself on a journey through different ocean habitats: kelp forests, coral reefs, and seagrass meadows. He learns what kind of shark he isn’t, but not what kind he is. He needs to find the mermaid to learn where he belongs, but the ocean is big and full of dangers. Will he find out who he is-and what he can do-in time? This beautifully illustrated lullaby book features shimmering salmon fry, a long-legged baby moose, feathery eaglets, and fifteen other Northwest animals bedding down for the night (or day!). Rhythmic and soothing four-line stanzas describe the animals’ habitats and sleeping patterns. Children will love learning about the familiar creatures in this special book. 10) What Do You Do With A Tail Like This? A nose for digging? Ears for seeing? Eyes that squirt blood? Explore the many amazing things animals can do with their ears, eyes, mouths, noses, feet, and tails in this interactive guessing book, beautifully illustrated in cut-paper collage, which was awarded a Caldecott Honor. 11) How Do Flowers Grow? This stylish, highly illustrated, interactive book is perfect for sharing with young children, and introduces science using a friendly lift-the-flap format. A great introduction to one of the fundamental themes of biology, perfect for curious young minds. “[Here is] a charming introduction to the truly amazing octopus [from its intelligence to its ability to change colors to the camouflaging black ink it squirts to escape predators]. Lauber’s chatty, fact-filled text makes the book a good read-aloud, and Keller’s amusing and colorful drawings enhance it—a perfect match of text and illustration.” —SLJ. Count from 1 otter pup to 10 baby crayfish as readers learn about the special relationships of baby and mom mammals, reptiles, birds, and insects that make their home in the Okefenokee Swamp. A helpful guide to swamp flora and fauna is included. Modeled after the song “Over in the Meadow” by Olive A. Wadsworth. An introduction to the world of seashells, crabs, and sea stars including identification information, educational activities, and fun facts. Invites young naturalists to spot wildlife. Safety tips are provided and interesting activities are suggested. An uplifting story about two best friends, Isaac and James, and their discovery of the cause and effect relationship between our cities’ storm drains and the world’s oceans, lakes and rivers. It is sure to inspire both young and adult readers alike and teach a timeless life lesson–If we all do our part, a cleaner, safer environment is indeed within our reach. Interesting family behavior of the American alligator. Winner of a Children’s Choice Award. Baby Animals is part of an exciting reading series for young children, with lots of pictures and very simple, easy text.